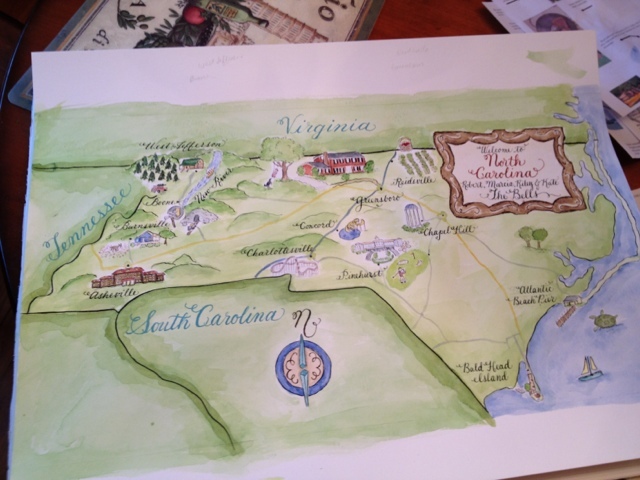 Designs by Robyn Love has been receiving loads of requested for Watercolor Maps to be used as special, personalized gifts. Watercolor maps can show many journeys and locations. Many of my clients use them for weddings, birthdays, love story's, a travel journey, vacation route, life journeys, and more! This map is one of my favorites. It is the family story of the Bells. The father commissioned me to design this oversized map (24 x 14") for his bride of many years. It was a surprise to be framed and hung in the den. The style was vintage Americana. And it was to depict all the families favorite places, past times, and previous homesteads! It really captured family memories and is a wonder idea for a gift.